Carnation Auto Blog: Futuristic Nissan Terra - Is This What We Can Expect In 2015 And Beyond? 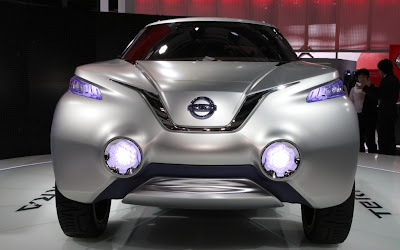 Futuristic Nissan Terra - Is This What We Can Expect In 2015 And Beyond? Technological advances have made it possible for auto makers to explore different technologies as part of their innovative future plans. 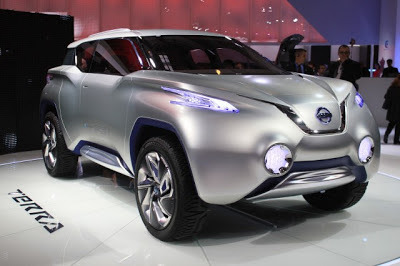 Recently, Nissan, the Japanese car giant, showcased a futuristic looking, fuel cell operated SUV. The Nissan Terra, that's what the new Sports Utility Vehicle is called, is more of a crossover and the next-gen version of the Xterra. Nissan Terra has a unit-body structure, a deviation from the body-on-frame design that is currently the favored platform for most SUVs. Also, the next-gen Xterra is likely to use fuel cell technology for its operation. It's interesting though that Nissan is holding off any production plans for this crossover as its still working to ensure that the hydrogen refueling technology has fully matured and capable of being production. Fuel cell technology - it's a fairly nascent alternative technology, and utilized fuel cells to generate energy that powers the vehicle. The first production car to utilize this technology was the Honda FCX Clarity that had a 57 litre fuel cell stack capable of generating 1.75kW of energy per litre. 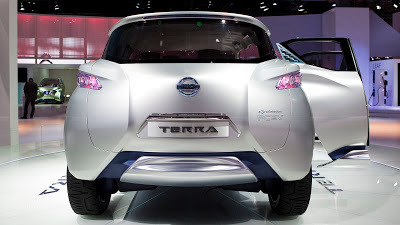 Compared to the Honda Clarity, the Nissan Terra is more powerful, has a smaller fuel cell stack size. The energy density is around 2.5 kW/litre. Conceptually, the Terra uses 3 electric motors, one that powers the fronts wheels, and the one each for each rear wheel. The interior is futuristic too, and a removable touch-screen tablet acts as a the instrumentation console. 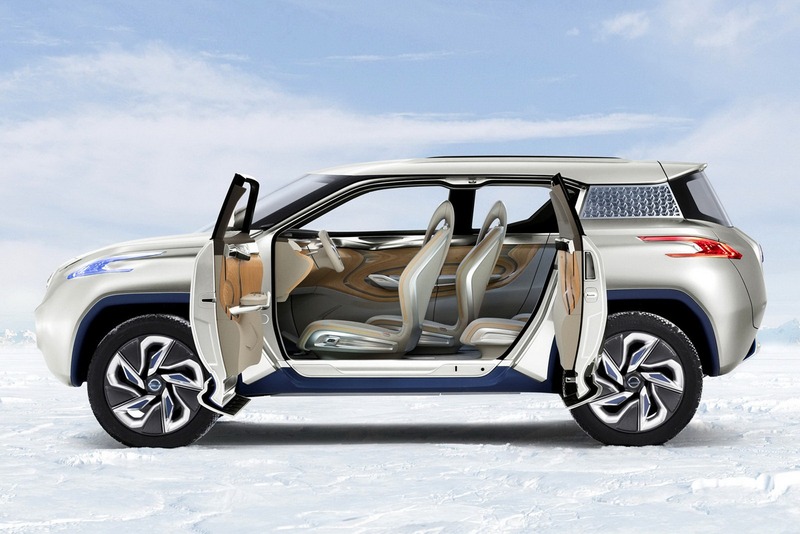 Keyless ignition mechanism and stunning wood & acrylic doors are some of the other features of the Nissan Terra. My take? Well, everyone knows that fuel cell cars are bound to become a reality in the next couple of years. And that's why the Nissan Terra is important. We get an idea what the future of vehicles will be and that scientists and researchers are trying the damnedest best to save our environment. So let us also do our bit towards preserving the environment and ensure a better future for mankind.